Drunk driving or driving under the influence of drugs (DWI/DUI) is not just illegal, but it is a potentially deadly act of recklessness. Drunk driving is a leading cause of injurious auto accidents in Pennsylvania. 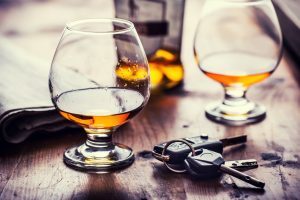 Driving with a blood alcohol concentration of 0.08% or greater is over the legal limit, and the offending individual may be held liable for accidents including associated monetary damages. It is also possible that the business or social host who provided the offender with alcohol may be at fault under premises liability statutes. If you or a loved one has been injured as a result of drunk driving, or have tragically suffered a wrongful death, The Law Office of Kemensky, Cohen & Riechelson may be able to help with your personal injury claim. We have been assisting clients with drunk driving and other auto accident personal injury claims since 1972 in Pennsylvania towns such as Northeast Philadelphia, Levittown, Bensalem, Penndel, Millbrook, Feasterville and the greater Bucks County area. Lean on our extensive experience to protect your rights and recover the damages your family is owed in the aftermath of an injurious accident caused by drunk driving. Call our office today to speak with a member of our qualified legal team in a free and confidential consultation regarding your personal injury claim stemming from a drunk driving accident. Depending on the specifics of your accident, there are several ways our Northeast Philadelphia attorneys may be able to help recover compensation for your injuries. For example, we may choose to file a personal injury claim holding the driver liable. If there is such a thing as good news when involved in an accident caused by drunk driving, it is that proving the negligence of the drunk driver who caused your injuries is a relatively easy task. As long as we are able to legally show that the other driver was under the influence of alcohol or other controlled substances, it is virtually guaranteed that we will be able to show that the other driver is at fault for the accident and, by extension, your injuries. If applicable, we can also file a personal injury claim holding a business or social host liable. This falls under dram shop premises liability laws, which hold those entities liable if they irresponsibly serve a guest or patron. This may entail a business or host serving a guest alcohol and knowingly permitting them to drive, ending in an auto accident which ultimately led to your injuries. In either case, we will aim to show that the negligence and/or reckless behavior of other parties were ultimately at fault for your injuries. This establishment is the basis of any good personal injury claim. Items one and two are covered in the previous section. Item three is a critical piece which many of our clients may forget. It is obvious to the victim that the injuries were a result of the accident, but that is not legally valid. It is a great idea to see a medical professional as soon as possible in the aftermath of an injurious accident. Not only will your doctor give you valuable medical treatment and advice, but his or her diagnosis will be valuable in your case by showing that injuries were in fact from the accident in question. The faster you are able to see your doctor, the stronger your case becomes. Everyday expenses including items such as housekeeping, lawn maintenance, etc. At The Law Office of Kamensky, Cohen & Riechelson, our team of personal injury attorneys has over four decades of experience serving clients in Southeastern Pennsylvania. We believe in keeping our clients informed and involved throughout the legal process as we have done across Northeast Philadelphia, Bensalem, Levittown, Millbrook, Penndel, Feasterville and all of Bucks County. We are led by a Certified Civil Trial Attorney, an honor granted by the Supreme Court of New Jersey to only 2 percent of active NJ attorneys. If you are ready to receive the fair and full compensation you and your family need to cover medical bills, lost wages, and the emotional trauma sustained from your injuries, contact us online or give us a call at our Bensalem offices at (215) 337-4915 for a free and confidential consultation today. We will be standing by to learn more about your drunk driving accident and how we may best serve your individual needs.